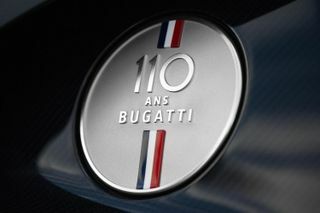 Bugatti is celebrating its historic 110th anniversary with an ultra-exclusive version of its Chiron Sport. 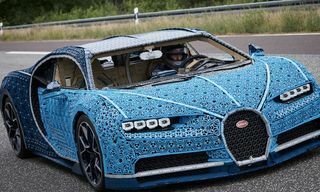 Described as a “tribute to France,” the Chiron Sport “110 ans Bugatti” is defined by a slightly updated design and color changes for its exterior and interior. 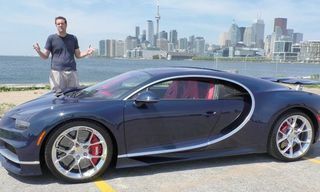 The vehicle is limited to just 20 units. 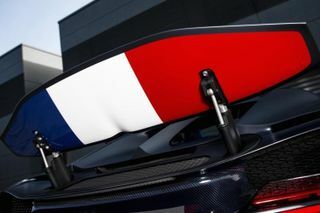 The hypercar’s bodywork is themed around France’s blue, white and red tricolor flag, but the prominent use of the theme is seen on the underside of the Chiron’s movable rear wing. 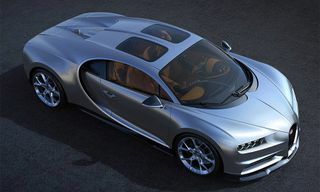 In addition, stripes are implemented on the door mirrors and aluminium filler caps on both sides. 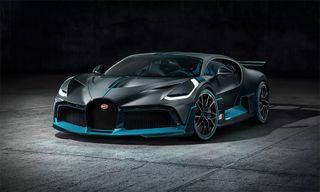 Furthermore, a subtle two-tone color scheme drapes the special edition vehicle with “Steel Blue” matte paint at the rear and “Steel Blue Carbon” for the exposed carbon fiber detail at the front. 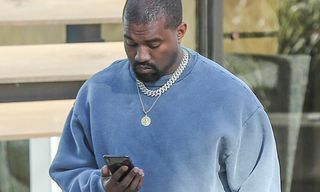 The brake calipers are also treated in a lighter blue tone, with matte black wheels completing the main exterior revisions. 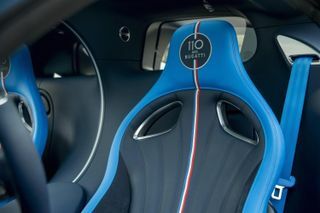 Inside, the car is detailed with the distinct tricolor stripes on its headrests and backrests of the two-tone blue leather and Alcantara seats to further reference its historic French roots. 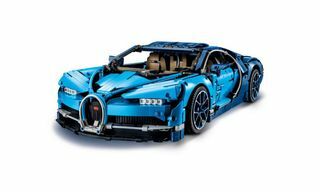 A Sky View glass panel roof is also added, along with a solid silver medallion mounted on a carbon fiber plate fitted on the center console. 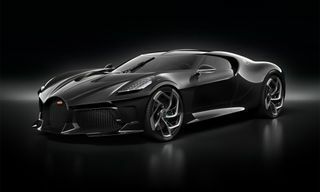 In terms of its mechanical make-up, the vehicle boasts a quad-turbocharged 8.0-liter W16 engine that can jump from zero to 62mph in 2.5 seconds, and tops out at 261mph. 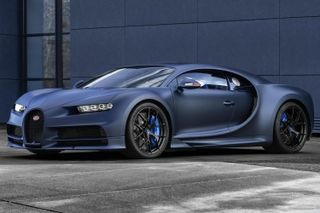 For more on the Bugatti Chiron Sport “110 ans Bugatti,” and its availability, head on over to the brand’s website.